31.12.2014 (Hvino News). The ministry of agriculture of Georgia released a special statement denying information on possible renewal of Russian embargo, which circulated in Russian mass medias recently. Ministry stated that Georgia continues to export wine, mineral waters, fruit and vegetables to Russia and this is not going to be changed in the nearest future. However, Georgia’s PM suggested the government to carry out preventive measures, as Russian policy can be highly unpredictable. "At this stage, Georgia exports alcoholic and mineral drinks, as well as vegetables, fruits, citrus fruits, dried fruits, spices, tea and bay leaves to Russia.The negotiations on honey, fish, sheep export are underway, the ministry said". Russia still remains the largest market for Georgian farmers 64 % of Georgia’s total wine exports were sent to Russia in 2014. 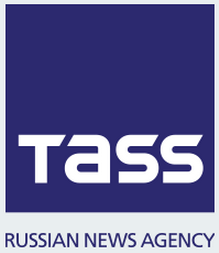 Russian media sources, Moscow plans to renew its embargo on Georgian products starting from 2015. Reportedly, the same restrictions will be imposed on Ukraine, Moldova, Azerbaijan, Uzbekistan and Tajikistan, and only members of the Eurasian Union like Armenia, Kazakhstan and Belarus will still be able to stay on the Russian market. MP from the Parliamentary Majority, Gia Volski says in case Russia decides to use its economic levers against Georgia, this will drag the country into a deep crisis. MPs believe it is necessary to set up a special commission of economic experts to work on preventive activities. 28.12.2014. Georgia’s wine export has reached 59 million bottles, a record-breaking figure in the past ten years, Russian news agency TASS quoted the Georgian ministry of agriculture. 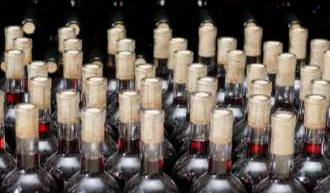 The 2014 figure outstripped the previous record of 2005 - 57 million bottles. According to the agency, as many as 88% of Georgia’s wine exports in 2005 went to Russia. In 2014, Russia accounted for 64% of Georgian wine exports. Other importers of Georgian wines in 2014 included European countries, China and Japan. In 2013, as many as 23 million bottles of Georgian wines were exported to Russia, which accounted for about 49% of overall exports. In all, Georgia exported 47 million bottles of wine to 46 world countries in 2013.No Georgian wines were exported to Russia in 2007-2012. Exports were resumed in June 2013 and by the end of that year Russia was ranked first among importers of Georgian wines. The top five importers along with Russia were Ukraine, Kazakhstan, Belarus and Poland. 28.12.2014. The last of this year’s embassy receptions fell on the eve of Christmas Eve, and befitting the seasonable occasion, featured red and white decorations and wine. Tables full of Georgian wine and food enriched the flavors of the annual year-end reception organized by the Georgian and Ukrainian embassies at Lotte Hotel in Seoul last Tuesday, where wine lovers sampled Georgia’s finest spirits. A variety of homey Georgian cuisines ― highlighted by vegetable and herb dishes, grilled lamb and nutty pastry ― added texture to the fine wine-tasting and string-quartet performance. “Georgian people have great pride about their wine, which goes beyond a popular drink. It is considered a ‘holy beverage,’ having a special place in the cultural life of people,” Minister Counsellor of the Georgian Embassy George Khabelashvili said. Located east of the Black Sea between Russia and Turkey, Georgia has an extremely diverse climate ranging from humid and subtropical to dry and hot conditions. Its combination of moist air, scorching sunlight, water and wind give birth to a melange of flavors in wines, from full-bodied to lightweight ― the most varied in the world. 28.12.2014. 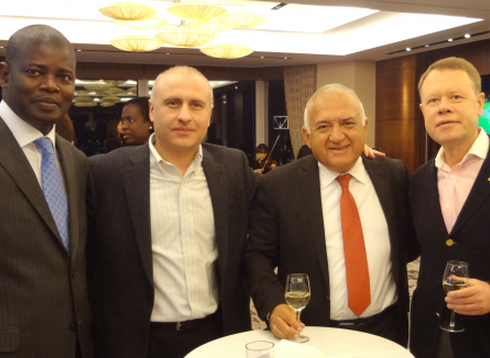 On Tuesday, the Embassy of Georgia gave over 100 guests the opportunity to taste Georgian wines at the Lotte Hotel in Seoul. Among those who attended were former Prime Minister Chung Un-chan and foreign diplomats. All were invited to explore dry, sweet and semi-sweet wines. The event was a collaboration co-hosted by the embassies of Georgia and Ukraine. The Ukrainian Embassy provided the food. 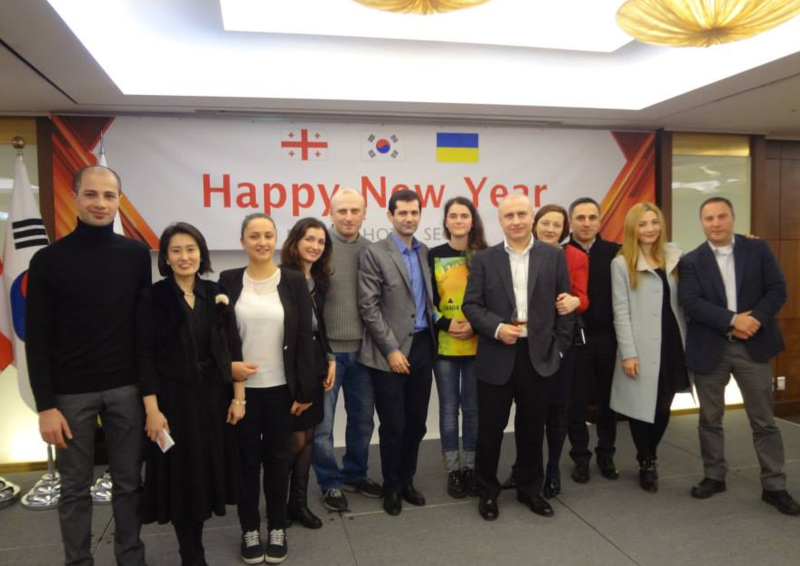 Georgian Ambassador Nikloz Apkhazava has energetically promoted Georgian wines since he arrived in Korea. Every year, the embassy has hosted wine-tasting events to help Koreans explore the unique tastes and flavors of its wines. Thousands of winemakers in Georgia, mostly family-owned wineries, have produced wines for over 8,000 years based on unique methods using large clay jars called kvevri. 26.12.2014. 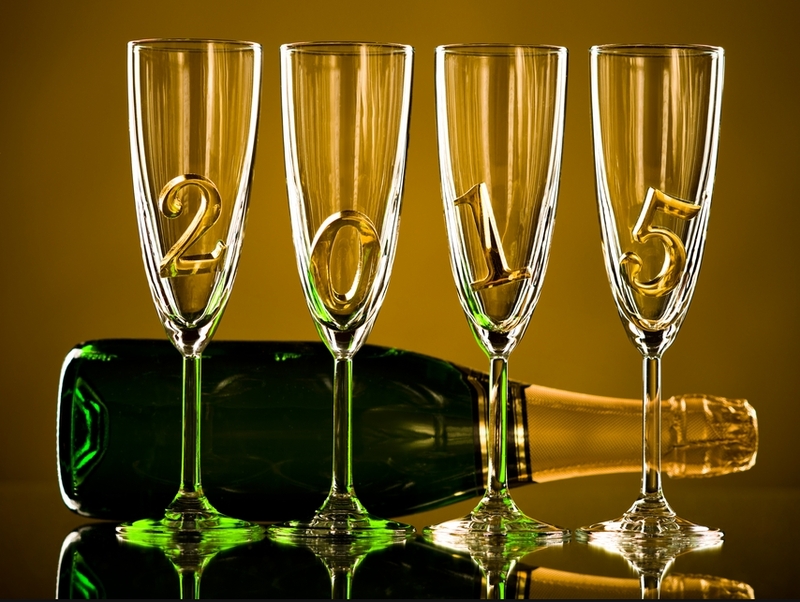 There could be no New Year table without sparkling wine. And if the New Year celebration is accompanied with sparkling wine from the famous Champagne Appellation, the feeling of satisfaction is doubled. However, good champagnes are still a deficit in Georgia and you can come across them only in a couple of specialized wine stores. This is why, when you start selecting wines for the New Year in Tbilisi, you will be more likely to choose from a range of sparkling wines. The quality of Georgian sparkling wines is growing by the year. In wine stores, you can find several types of low, medium and high priced sparkling wines. Low priced sparkling wines are made in tanks and are bottled afterwards. The majority of medium and high priced sparkling wines are made using the classic bottling method. When tasting the latter, you will feel from the very first sip that this is how a sparkling wine should be made. Of the Georgian sparkling wines, for New Year I would advise Winery Khareba’s 12-month-old semi-dry sparkling wine made with the classic bottling method using Tsitska grapes – an aromatic grape species from Imereti. The Satrapezo-Brut of Telavi’s Marani, and sparkling wines of Badagoni are also quite interesting. 25.12.2014. More Georgian wine is continuing to be exported to foreign countries, resulting in being exported highest volume of wine in 2014 in comparison to the past 20 years. Georgia exported 59 million 0.75 litre bottles of wine, valued at $183 million USD to more than 40 countries across the world by December 15, the National Wine Agency said based on the latest state data. However, wine exports volume has overtaken 2005 wine export data, a year before Russia banned Georgian wines. Meanwhile, Russia has overtaken Ukraine as the largest importer of Georgian wine in the reported period after Russia lifted an embargo on Georgian wine last year. Russia imported 64 percent of Georgia’s total wine exports. 24.12.2014. The winemaking trade is driven by seasonal factors. Over 50% of the produced wines are recorded in the fourth quarter. Hence, it is not expedient to analyze quarter indicators. According to the 2013 declared indicators, Georgia produced 183381 tons of wine (including households wines), up 12.6% compared to the 2012 indicators. The ratio of household wines made up 71.2% in 2013. The figure stood at 74.3% in 2012. 24.12.2014. Georgia is very famous for its ancient and unique history of viticulture and wine-making. To gather and reveal all material describing Georgia’s divers wine history, Vine and Wine Library opened in the Georgia's National Library in Tbilisi, yesterday. The Library provides enormous documentary source on viticulture and all about wine-making in Georgia. Moreover, the Vine and Wine Library has a modern reading hall, where books in Georgian, English, French, German and Spanish are available. The Library also contains unique archive of guidebooks about ampelography [botany that studies the cultivation of grapes], climate and soil. Meanwhile, here is electronic encyclopedia about Georgian winemakers, as well as archive of magazines and newspapers on Georgian wine are provided at the Library. 23.12.2014. Top boutique winery Schuchmann Wines is starting a new campaign under the name “Do Not Drive Drunk” within the framework of Corporate Social Responsibility (CSR). At the same time the company is planning to continue in 2015 with all the CSR campaigns that it started in previous years. Schuchmann Wines spends about GEL 10,000 on CSR activities annually. “Having a glass of Schuchmann wine with one’s dinner is always a perfect idea but not before driving,” said Nutsa Abramishvili, General Director of Schuchmann Wines Georgia. “As a wine company we feel a sense of responsibility for our society in terms of encouraging them not to drink drive. We are disturbed by the increased numbers of car accidents in the country and so started thinking about how to contribute to preventing car accidents in Georgia. The campaign Do Not Drive Drunk will unite several projects which will be implemented throughout the year 2015. I believe that this campaign will be long-term and will continue well into the future as well. The main goal of this campaign is to decrease the number of car accidents and to remind the Georgian population of the rules of responsible drinking in order to ensure their safety,” she added. 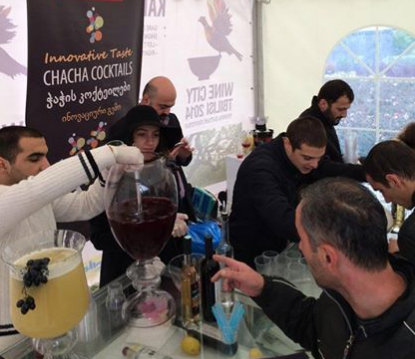 To improve education, save Georgian traditions and introduce Georgian wine-making to the world are the main goals covered by Schuchmann Wines’ CSR activities. Out of them, raising education is the top priority for the company, says Abramishvili, as educated and qualified people are the greatest benefit for both the company and the country’s economy as well. 22.12.2014 (Hvino News). Wine tourism is one the important components for the development of tourism in Georgia, - the Prime Minister of Georgia said during his visit in Gudauri. 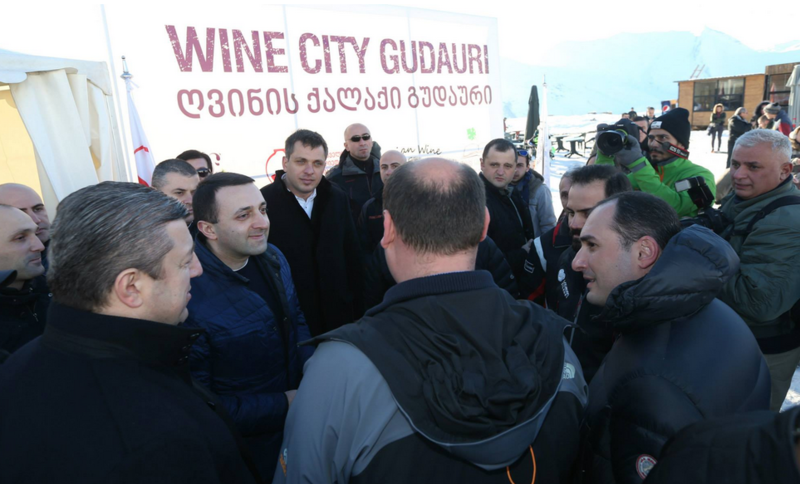 Today, the head of the government attended the event - "Wine City Gudauri 2014." He congratulated the opening of the season to the audience and noted that such events were important for the development of the resort together with the fact that they promoted the wine tourism. "Nice that the Wine City celebrates the opening of the skiing season and hosts the visitors. Such events make the resort even more attractive, as we offer diversity to tourists," - Irakli Garibashvili said. The Prime Minister tasted the Georgian wines together with the guests of the event, according to Prime Minister's Press Service. 21.12.2014 (Hvino News). 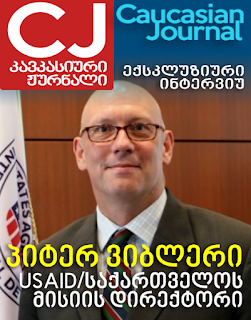 Georgian Agriculture Minister Otar Danelia said that devaluation of the Russian ruble will not have a negative impact on Georgian exports. Georgian exporters have recently been complaining about loss of profit and sales of Georgian wine in Russia because of the weakening Russian currency. However, Georgia's president Georgi Margvelashvili said last Thursday that Georgia's economy has been buffeted by the Russian currency crisis and the Ukrainian conflict but it is still growing strongly. Margvelashvili spoke to Reuters from Strasbourg, where he watched the European Parliament ratify an EU-Georgia trade and cooperation accord, describing this as an important step toward Georgia's eventual goal of EU membership. The Georgian economy was generally in good shape but had suffered some side effects from the plunge in the Russian rouble and the Ukraine crisis, he said in a telephone interview. "The fluctuation of the rouble has hit some of our main products on the Russian market which are basically alcohol and beverages," Margvelashvili said. "The products have become more costly in that market so for sure it has hit some of our wine production. 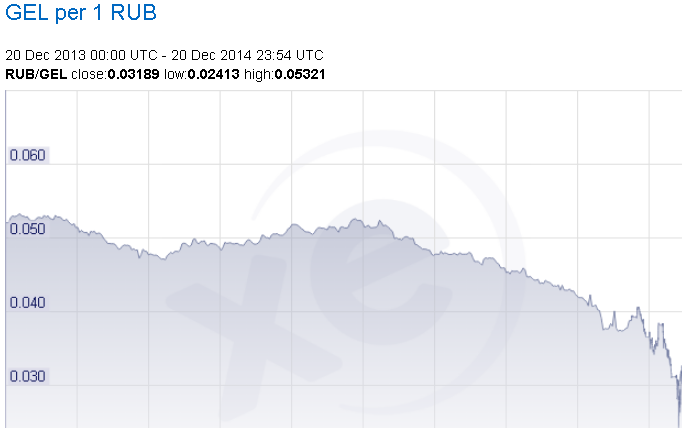 It is not catastrophic, but we do feel the problems with the rouble," he said. 19.12.2014 (Hvino News). Wine museum project has been discussed at the meeting of Georgian government representatives with Mr. Santiago (Santi) Vivanco, founder of Wine Culture Foundation. Prime Minister of Georgia Irakli Garibashvili, who initiated the idea of founding the wine museum, was present at the meeting with the representative of world famous Vivanco dynasty. Santi Vivanco expressed his readiness to participate in the implementation of the Wine Museum Project in Georgia. Created in 2001, the Vivanco's Foundation operates its Museum of Wine Culture, which was inaugurated by King of Spain Juan Carlos I in 2004. "I am happy to support such an important project as the wine museum in Georgia, as your wine is a father of wines in the world. I think, everyone who loves wine should visit Georgia", - Santiago Vivanco said after the meeting. The meeting was attended by the Agriculture Minister Otar Danelia, Deputy Agriculture Minister Levan Davitashvili and Ambassador of Georgia to Spain Zurab Pololikashvili. Georgia-EU: Has Georgia made the grade? 19.12.2014. The European Parliament yesterday ratified the Association Agreement between the EU and Georgia. 490 deputies voted for the document, 76 were against, 57 deputies abstained. 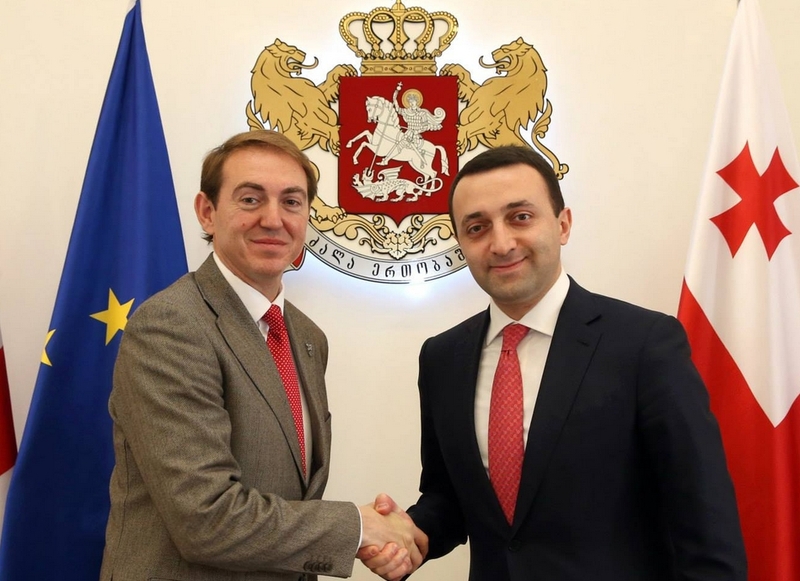 During the vote in the hall of the European Parliament were present the current president of Georgia, Giorgi Margvelashvili, and ex-President Mikhail Saakashvili, who has been put on the wanted list in his country. Economic expert Irakli Lekvinadze said what Georgia expects from the Association except the opening of borders. "This is a very important agreement for us, both politically and, of course, in economic terms. One of the points of the agreement is free trade, and for us this is very important. In the first place, of course, those companies that export their products from Georgia to Europe will benefit: before September 1, they paid customs tariff, from September 1 this tariff does not exist. This will affect those Georgian companies that export wine and various fruit concentrates to the EU, providing additional revenue. This is one of the benefits that we got in Georgia after ratification of the treaty," the expert said. 17.12.2014. (Hvino News). Since 2012 in the end of each year Hvino News calculates the Media Rating of Georgian Wine Companies. In 2014, for the third time in a row Hvino News prepares its analytic report, which is now based on 3 years of our global media monitoring. This year's result has become known today. The new leader of Media Rating is Marussia Georgia (with brand names Chateau Mukhrani, Tamada, Old Tbilisi). Congratulations to Marussia Georgia! The former ratings' leader Tbilvino went down to second place. 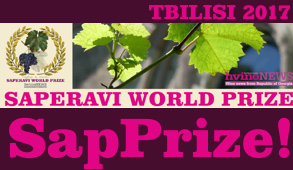 Telavi Wine Cellar (Marani) has made a huge progress in 2014, rising from 7-th place to "Bronze". Teliani Valley, the "Silver" winner of 2012 and 2013, has fell by two positions and is on 5-th place, which it shares with Winery Khareba and Wine Man. The number of mentions of other companies can be seen from the table (click on the image to enlarge). Last years' Media Rating results can be found here and here. Our media data includes both the international English-language media monitoring and the articles published by Hvino News under its own copyright. 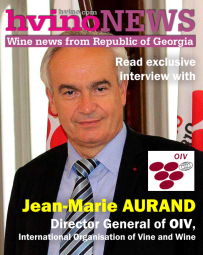 Hvino News was the first to conduct regular media analysis of Georgian wine industry. 17.12.2014. The devaluation of the Russian ruble caused damage to Georgian exporters. 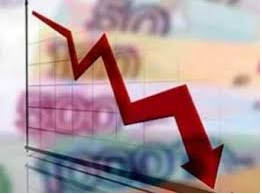 Georgian businessmen constantly focused on the possible political risks in doing business in Russia are in danger for an entirely different reason - the rapid devaluation of the ruble significantly affected the solvency of the population, as a result, the sales of Georgian companies fell sharply. According to the CEO at Tbilvino George Margvelashvili, depreciation of the ruble leads to a rise in price of imported goods. "Our partners have to hike prices, and this hinders trade networks to take products. Therefore, importers have to reduce supply. If all continues in the same manner in 2015, our exports to Russia will be quite modest, "- he notes. Nutsa Abramishvili, CEO at Schuchmann Wines, has the same opinion. "As a rule, in December, in the New Year's period, the demand for wine in Russia is traditionally very high, but this year the consumer activity was on the rise in September-October. Due to the economic situation in Russia, in the 4th quarter we fulfilled the export plan to this country only by 50%. In general, devaluation of the ruble weakens importers, who are afraid to buy Georgian wine in large quantities. Today, no one can predict what will happen in the future, "- she says. The financial crisis in Russia has created problems to Capma, Georgian producer of canned food and juices. According to Lasha Pkhadadze, the company’s CEO, at this stage there are serious problems with exports to Russia which are associated with the devaluation of the ruble. 17.12.2014 (Hvino News). 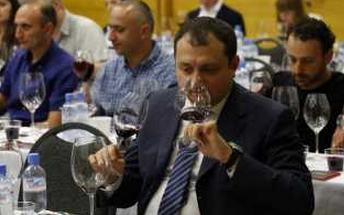 In 2015, Georgian wine companies plan to expand their sales markets, according to a review published by Georgian Kommersant. According to George Margvelashvili, CEO at Tbilvino, in the coming year the company for the first time will begin exporting to Australia, Panama, and Cuba. In his words, a forecast concerning Russian market is adverse due to the economic crisis in Russia. "Russia accounts for only 25% of our company’s exports, so we are not dependent on the Russian market. With regard to the European Union, it is a stable market but we do not have a particular sales growth in Europe. In the long term this is a very serious market, but at this stage we do not expect growth, "- he says. Kakhetian Traditional Winemaking company representative says they started successfully export to Thailand, and in 2015 it is planned to start exporting to another Asian country, although they did not specify to which. Marani Khetsuriani company says that in 2015 it is planned primarily to increase sales of wine in the local market as well as exports to the EU, Asia, and Russia. 15.12.2014. Some may know him as "The General," others, simply as Ruben. 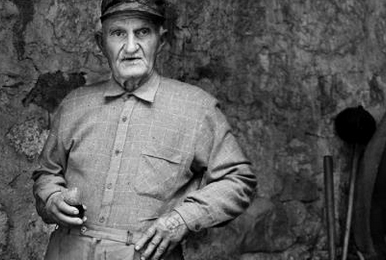 He was a qvevri wine maker in Racha, a mountainous region in the Republic of Georgia known for a semi-sweet red wine called Khvanchkara. We were visiting Iago's Winery last weekend when I happened to mention to my friend Irakli that he really needed to pay a visit to Ruben before he died. Iago told us he had died two days ago. I think he was a national treasure. I had the honor of visiting his marani last October with my Rachan guide Natia and my friend Nicoletta. I went to Racha to lean how to make a bean pastry called lobiani, but I was also on a mission to meet Ruben. We visited him unannounced one morning and he was there, in his camouflaged glory, grumbling to himself about the inconvenience. A grumpy, opinionated old man whose eyes sparkled with the joy of living. He was alone now, but he spoke proudly of his highly educated granddaughter who spoke perfect English. His qvevri were buried under about a foot of mud. He placed some snacks on a table in his marani and then went to work to open one for us with the help of local young vigneron, Aleco Sardanashvili. They poured the luscious and precious wine into a doki, with small glasses that resembled Turkish tea glasses, we toasted to our health, to Georgia, to our families and many other ideas and things. Natia informed me we had to toast and accept the wine and to drink it with him or we would be breaking all the laws of hospitality. By about 11am, I was completely inebriated. He poured another doki, and we, his guests, had to toast. Passing the toasting to another person in Georgian is called alaverdi (like the wine making monastery in Kakheti). Georgian grapevine in Brazil - Olá Usachelari! 14.12.2014. About 4 years ago, James Carl, a Brazilian acupuncturist, could not imagine that winemaking would become a significant part of his life. Indeed, as he told us, one never knows “where your heart may lead you.” A growing interest in winemaking led him to start studying catalogs and scientific articles on grape varieties as well as climatological findings of the South of Brazil. James’ interest was soon drawn to indigenous varieties from Greece, Georgia and Portugal. He came to the conclusion that the most resistant varieties to his country’s climate conditions were Georgian and Portuguese ones (for humid and mountainous regions) as well as Greek varietals (for hot regions). “My heart was captured especially by Georgian grapes, by their aroma and unique taste. I also realized that Georgian varieties would not be challenged by the humid conditions of the region. After all, in Brazil, we constantly strive against moisture. Therefore, I contacted the Georgian Embassy in Brazil and asked them to help me get in touch with a researcher of Georgian grapevines. They gave me a phone number of professor David Magradze. Since 2012, we have been in contact with each other every now and then,” James told us. During that time he was introduced to José Ayub, the owner of Campos de Cima winery, which is located on the Western Border of the State of Rio Grande do Sul, near the borders with Argentina and Uruguay. The Ayub family produced their first wines from their own grapes in 2006. The vineyards have an elevation of 180 meters, located in the Pampas. They only started building their own winery in 2012. 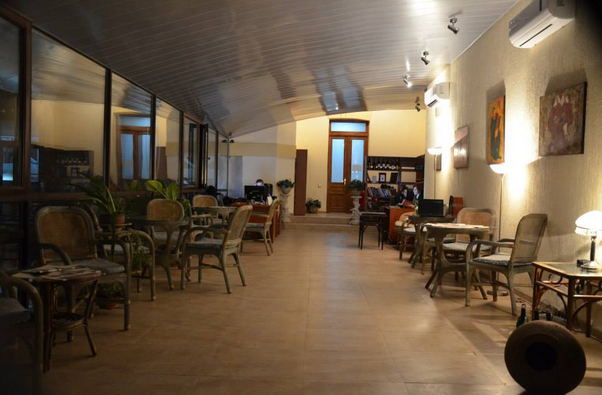 It is a boutique winery with a small production, aiming for high quality wines. 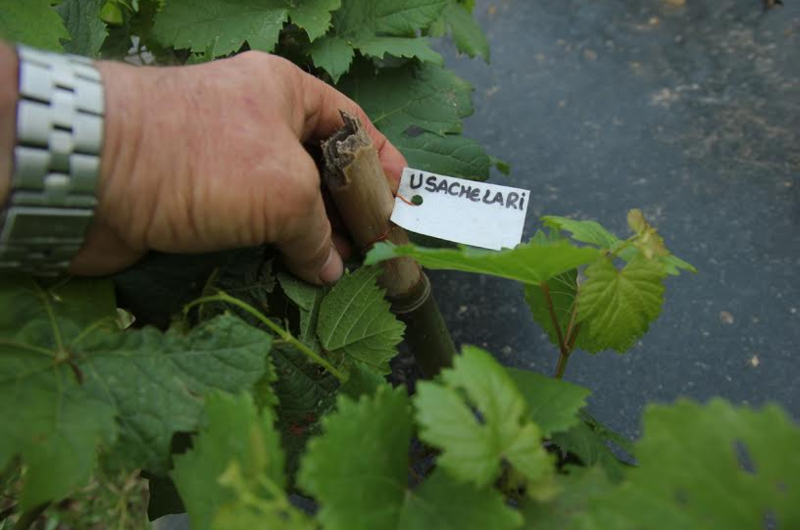 Carl and Ayub, along with Michel Fabre, a French winemaker, hope that Georgian grapevine will suit the terroir of Pampas, which has hot weather conditions during summer and low temperatures in winter. 12.12.2014 (Hvino News). 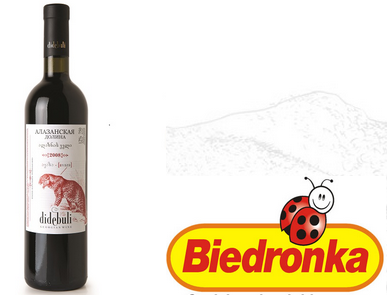 On December 4th Biedronka began sales of Alazani Valley red medium sweet wine produced by Tbilvino under the Didebuli trade mark. This is the first time Biedronka sells Georgian wine in its shops. Biedronka is the biggest chain of supermarkets in Poland with (nearly 2,400 shops and 37,000 employees), owned by the Portuguese company Jerónimo Martins. Literally, the name translates as ladybug, which is the logo of the company. It is one of the best recognized companies in Poland (98% of the population). 11.12.2014. John Wurdeman grew up in Richmond, Virginia — and that’s where he happened upon a CD that would change his life. It was a collection of traditional music from Georgia, a tiny country in the Causcasus Mountains south of Russia. Today he lives there, and has devoted his life to preserving Georgian songs, food and even wine, at his vineyard, Pheasant’s Tears. In 1991, I skated to this alternative record shop, and there was a CD in the front of the row called “Georgian Folk Music Today.” So I bought it, popped it in the stereo, and was just blown away by the harmonies. 06.12.2014. The number of countries importing Georgian wine is increasing, resulting in more Georgian wine being exported and enjoyed all around the globe. From January 1 to November 30, Georgia exported wine to 46 countries, reported the National Wine Agency of Georgia (NWA). Georgia exported 55.2 million 0.75 litre bottles of wine, valued at $174 million USD. Of this, Russia obtained 35.2 million bottles, which was 63 percent of total exports, NWA said based on latest state data. 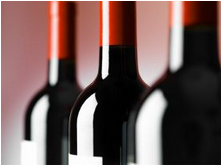 Wine exports increased in both volume and in value in the first 11 months of the year. 06.12.2014. 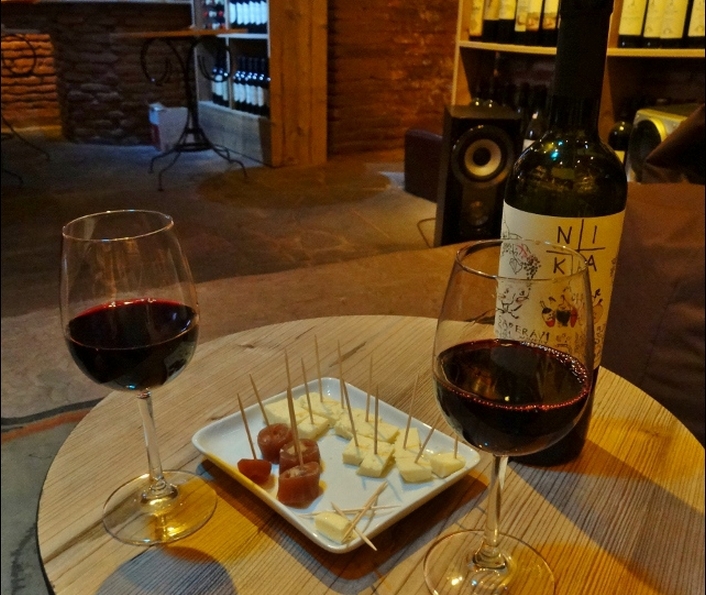 It's been a good year for wine in the European country of Georgia. Earlier this year the European Union ended import tariffs on the country, and news from the nation earlier this year revealed a new winery opened in Keda with the help of the equivalent of $600,000 USD given to the winery by Georgia's Agriculture Management Agency, Georgian wine news agency Hvino reported in late November [See: Kakhetian Traditional Winemaking opened new plant - HN]. Construction on the winery began in April, Hvino reported. 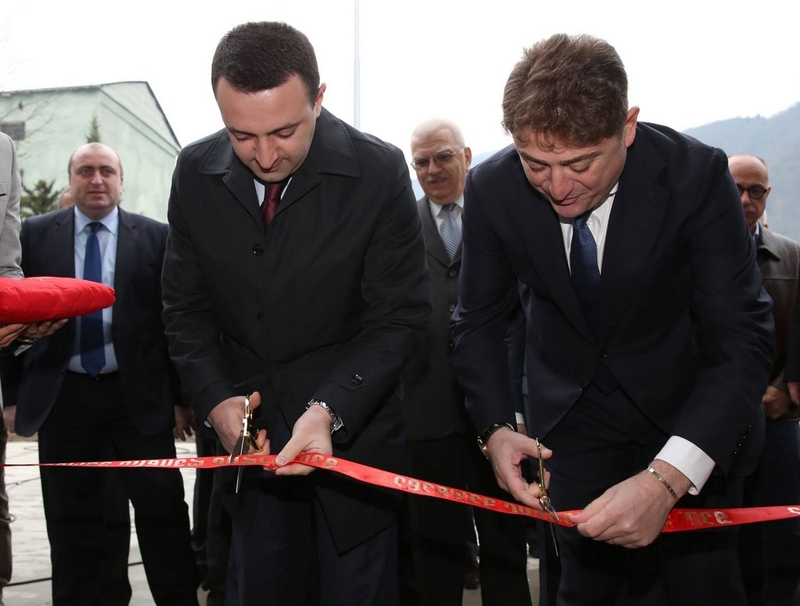 Georgian Prime Minister Irakli Garibashvili “opened the plant and addressed the public at the ceremony with a speech”, Hvino wrote. 05.12.2014. Georgian wine company Schuchmann Wines has expanded export markets - in particular, the company starts selling products in Mongolia, Japan, and Cyprus. According to the CEO Nutsa Abramishvili, sales in Russia have reduced due to the company’s entry into other markets. It is expected that in 2015 the company’s total exports will amount to 1.5 million bottles. "The entry into several very difficult but very promising for the country markets will allow to popularize Georgian wine and Georgia as a whole. Our company intends to export mainly wine produced with traditional Georgian method using kvevri. Development of wine-making means the development for the country as a whole, "- Nutsa Abramishvili notes. 05.12.2014. After a traditional Georgian giant jugs for the production and storage of wine - kvevri - were recognized as a cultural monument by UNESCO, winemakers are seeing an increase in popularity not only wine produced in this way, but also kvevri abroad. Furthermore, their shortage is even being observed. Georgian pitchers received a monument status in 2013. Read more here: Georgian qvevri wine-making method approved for UNESCO's Intangible Heritage List. The then Deputy Minister of Culture of Georgia Marina Mizandari stated that such status obliges the country not only to protect kvevri, but also to promote this method of wine production. "The status of a monument of culture is very important in terms of marketing, because finding kvevri in the list of UNESCO cultural heritage makes it more recognizable globally," - she said. House of Wine company claims that the wine produced in kvevri has several advantages, although the status by UNESCO did not affect their work. According to the company’s manager Maya Nodia, kvevris are interesting to a narrow circle of people interested in winemaking. 04.12.2014. Will the ruble’s depreciation cause a hike in prices of Georgian wine on the Russian market? What risks are the Georgian winemakers talking about and what are the Russian side’s requirements? At this stage exporting companies have already received the first messages from the Russian partners. Georgian wine price will rise on the Russian market – the Georgian winemakers forecast in the backdrop of the Russian ruble’s devaluation. Exporting companies say they have already received the first messages from the Russian partners. Georgian winemakers name several reasons for wine price increase. The main one is the record-beating increase of prices registered during a vintage. Price for saperavi grapes was GEL 2.5 per kg in 2014 which is about 50% higher than in 2013. It is also important that this year up to 90 companies have purchased an unprecedented number of overall crop (119 052 tons). 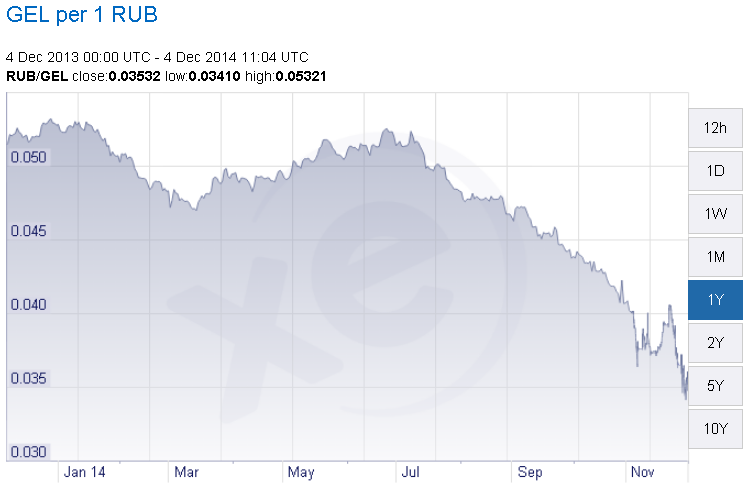 The Sommelier Association states that the ruble’s devaluation does not affect sales at this point. However, the Georgian businessmen will have to raise prices and revise a volume of export products in the future. 03.12.2014. 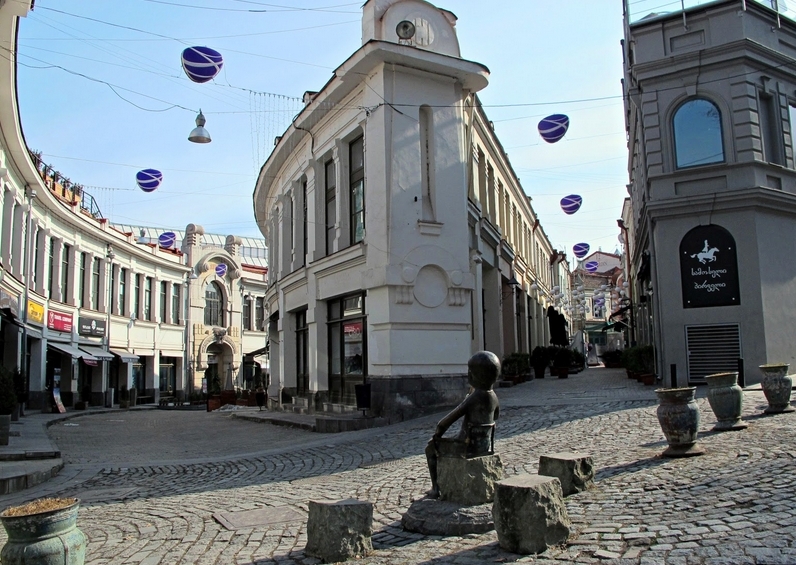 Bordered by the Black Sea, Turkey and the Caucasus Mountains, this small country of 4 million people is more popular with Russian and European tourists than with North Americans, who must make a flight connection in Europe to reach Georgia. It was one of the first countries to adopt Christianity, which means amazing churches to explore, and Orthodox Christianity now is the state religion, practiced by 85 percent of the population. Wine truly is a religious experience: Christianity was brought here in A.D. 337 by a 12-year-old nun carrying a cross made from branches of grape vines. Nearly every family home in the countryside — and even some in the cities — has a small vineyard for producing wine for family use. 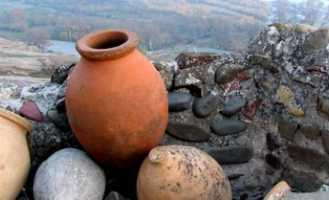 Forget about barrels: Georgian wine is produced in clay pots known as a qvevri (pronounced kwe-ver-ee) and buried underground. Fermented along with the grape skins, the unfiltered organic wines have a high tannin content and a complexity that makes even the white wines stand up to richer foods. 03.12.2014. Georgia's government has agreed to fund a new winery that is set to be one of the country's largest, as part of plans to overhaul the sector and increase exports. Government funding will be provided to build a new winery in the area of Keda, in Adjara, a ministry of agriculture spokesperson told Decanter. [This winery in Keda has been opened on November 22, read here: Kakhetian Traditional Winemaking opened new plant - HN]. Financial details were not disclosed, but the winery is set to have a processing capacity of 12,000 tonnes of grapes per year and this could be increased further in future. More wineries could also be funded in future. 02.12.2014 (Hvino News). On Nobember 26th Beverage Testing Institute (BTI) in Chicago awarded Silver Medal to Marani Chacha Saperavi. Chacha is Georgian type of grappa. BTI's resume for the winning Georgian spirit reads: "Clear color. Complex, spicy aromas of fruit cake, praline, and roasted nuts with a soft, bright, dry-yet-fruity light body and a breezy cream of wheat, malted vanilla honey milkshake, and papaya finish. A tasty, elegant grappa". The Beverage Testing Institute (BTI) is a marketing service company that provides reviews for spirits, wines, and beers. The judging ratings range from 96 to 100. BTI uses a tasting lab in Chicago. 30.11.2014 (Hvino News). Our regular readers have noted the recent change in the reader interface of Hvino News and its Russian version Hvino-Novosti: both wine news websites have now got background images. This is new way of advertising, available to companies which became Hvino's "Gold Partners". 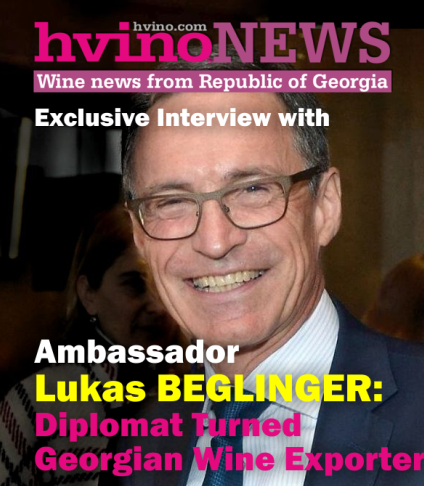 Hvino is pleased that the leading wine producers of Georgia are now using Hvino's background for their brands promotion. Telavi Wine Cellar (Marani), one of Georgia's largest wine producers, became the first company to launch long-term cooperation with Hvino. Starting from September 2014, Marani has become "Gold Partner" of Hvino News. In November, yet another leader of Georgia's wine sector - Kakhetian Traditional Winemaking (KTW) - entered into "Gold Partnership" with Hvino-Novosti. As Hvino specializes in covering wine business news of Georgia since 2012, it is an honour for us to partner with this industry's leaders. For Hvino, 2014 has been very productive. Earlier this year we launched the first online Georgian Wine Catalogue with an independent rating of wines. 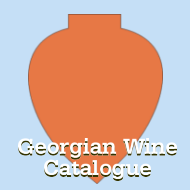 Currently the Catalogue lists all Georgian wines, which either have won gold medals at the world’s largest international contests, or have been rated by leading international wine rating institutions. As a fast-growing company, now Hvino comes up with a new project, again. This time we are expanding beyond the limits of online mass medias, offering our first printed publication on Georgian wine. 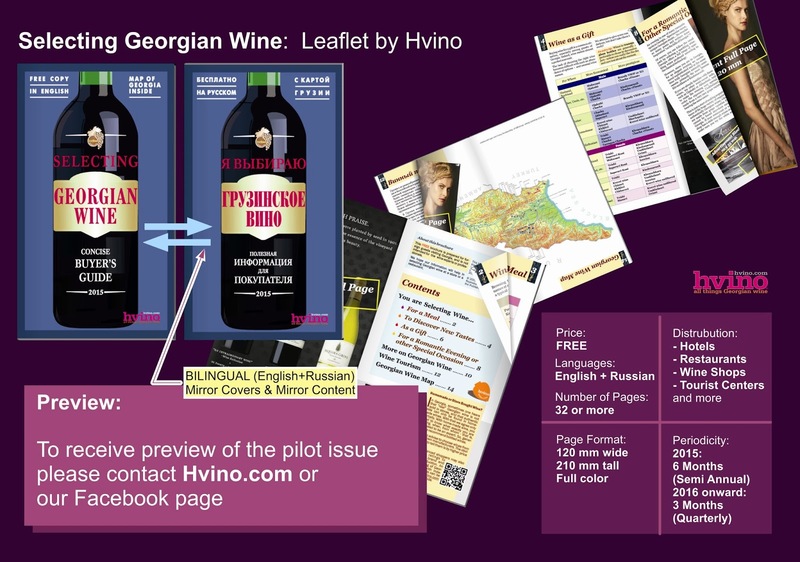 This is full-color 32-page leaflet entitled Selecting Georgian Wine, which will be distributed free of charge! Here you my watch a video pre-view of the leaflet. 28.11.2014 (Hvino News). According to Liza Bagrationi, PR officer at Badagoni, the company is in negotiations regarding wine exports to USA in large quantities. "Unfortunately, Georgian wine is still traditionally focused on the Russian market. What we are doing now will be a serious penetration into the US market, and we are preparing for it. We are talking about a rather serious segment, and we are likely to begin exporting in 2015, "- she notes. 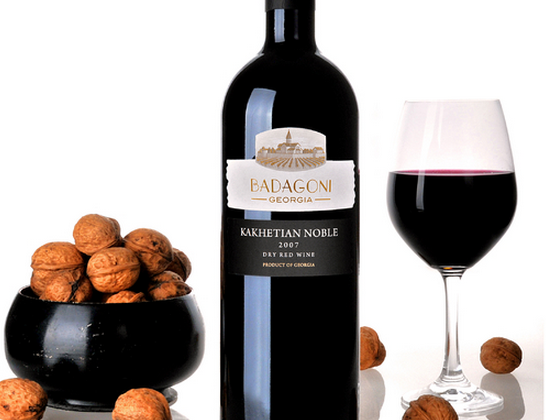 Badagoni Wine Company, previously known as Wine-Making Chevalier (Knight) was founded in the Kakhetian village of Zemo Khodasheni in 2002. Currently the company owns more than 300 hectares of vineyards of selected local grape varieties in the districts of Kvareli, Mukuzani, Akhasheni, Ojaleshi. Badagoni exports wine to 19 countries, including Russia, Ukraine, Poland, China, Germany, since 2007. According to the National Wine Agency, 36 million bottles of wine were exported to 38 countries in 8 months of 2014 – that is 69% higher than in the same period of 2013. The leader of the export markets is Russia, its share in export of wine is 65% - during this period over 24 million bottles of Georgian wine have been sold in Russia. Ukraine, Kazakhstan, Poland and Belarus are included in the top five exporting countries. 28.11.2014. Waltz, a tiny standing bar that specializes in natural wines, is nearly impossible to find the first time you try looking for it. On a recent Saturday evening, the bar’s obscure location — on a dimly lit backstreet between Tokyo’s Ebisu and Shirokane neighborhoods — confounded me and two of my friends, as well as the GPS function on my cellphone. Waltz’s service info lists no phone number, probably because the bar fills up so quickly that owner Yasuhiro Ooyama has little time to field calls from lost customers. By the time we arrived, the watering hole, which can fit around 10 guests, was already packed with regulars sipping glasses of unfiltered vin naturel in various hues and nibbling on homemade charcuterie — and the doors had only been open for 20 minutes. 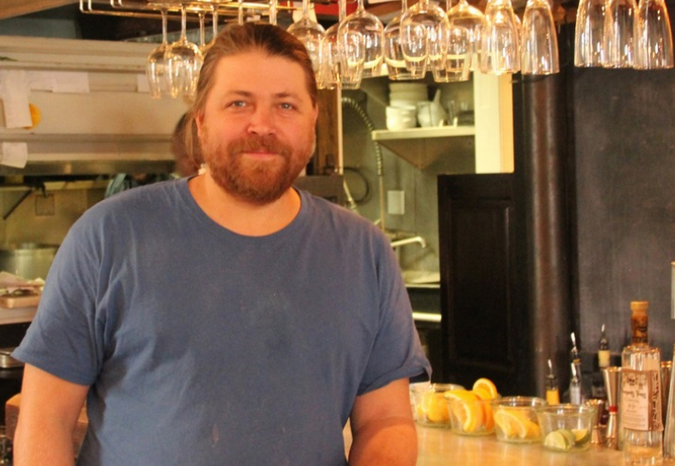 At 6:30 p.m., Ooyama began turning customers away. My friends and I had gone to Waltz in search of Georgian wines. Earlier that night we’d attempted to visit La Pioche, a bistro in Ningyocho that importer Yasuko Goda of Racines had recommended for its selection of kvevri wines. Much to our dismay, La Pioche was closed when we got there, although I later learned that the bar usually offers a few Georgian vintages that change with the owner’s fancy (like several natural wine bars in the city, La Pioche rejects the notion of a regular wine list). We were about to give up when I remembered that Goda had also suggested checking out Waltz and Rakki, a Chinese restaurant in Gaienmae owned by Shinsaku Katsuyama, who also runs the venerable natural wine bar Shonzui. As we had time for only one glass of wine, we headed to Waltz. Once again, however, luck was not on our side. 27.11.2014. In the four years since it started, Festivin has grown from an intimate gathering of natural wine enthusiasts to one of the most eagerly anticipated wine celebrations in Japan. Like many avant-garde movements in the food and beverage world, the idea for Festivin began at a party, when Shinsaku Katsuyama, one of the early pioneers in the Japanese natural wine scene and owner of wine bar Shonzui in the capital’s Roppongi district, suggested that a group of importers, shop owners and journalists join forces to host a natural wine event. Approximately 2,200 people attended the third edition of Festivin in 2012, more than double the attendance of the first event, and the turnout is expected to rise when the fair returns to Tokyo on Nov. 30 for its fourth edition. Part of what attracts so many people to the event is the fact that there’s something new to look forward to every time. 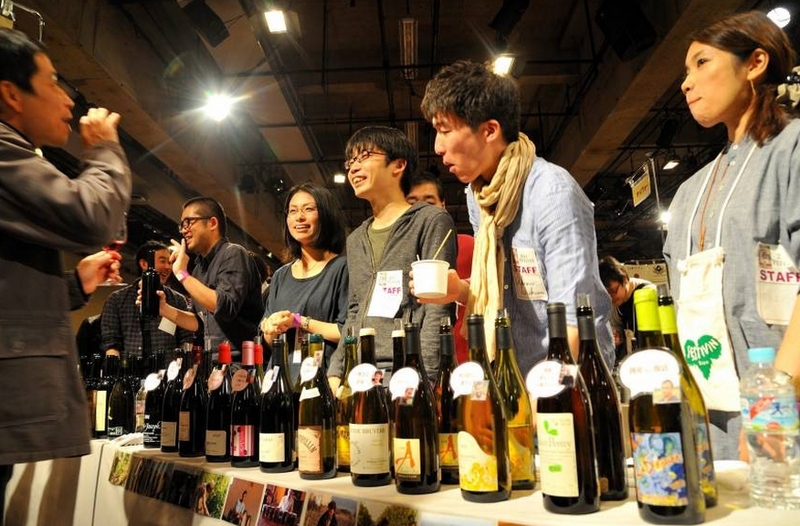 Along with food and musical performances, Festivin 2014 will feature more than 300 natural wines from producers in Japan and around the world. This year’s lineup includes eight winemakers from the former Soviet republic of Georgia, who will be pouring a selection of unique wines fermented in large, egg-shaped clay vessels called kvevri. 22.11.2014 (Hvino News). Today Kakhetian Traditional Winemaking (KTW) opened its new plant in Keda, Adjara region. Georgian Prime Minister Irakli Garibashvili opened the plant and addressed the public at the ceremony with a speech. The project costed about 1 million GEL (around 600 thousand USD), which was allocated based on law-rate credit of Agriculture Management Agency. The plant is equipped with latest technologies and an international-standard chemical laboratory. The factory will process grapes collected from Guria and Adjara regions. The construction started in April, 2014. 21.11.2014. Passport…check. Power plug adapters…check. Load up iPod with new music…check. Pack clothes for as many different types of weather because I have absolutely no idea what to expect…check. Girlfriend gives me drugs for the 12-hours of flight time each way…double check. That was pretty much the process I went through after I got the word that I was headed to the Republic of Georgia for an introduction to their wine & culture. Although it’s known as Georgia internationally it turns out they have their own name for their homeland, Sakartvelo, a name derived from the core region of the country Kartli. So why then is it known elsewhere as Georgia? 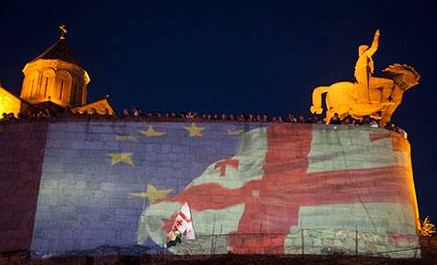 There are a few explanations, but it is likely that their devout national Christian beliefs and the patron saint of the country, St. George, have much to do with it. This is not to mention that Georgian men named George are as common as Americans named John, and the the red cross of St. George is prominently featured through the middle of the national flag. Another reason for the separate names is that it is very hard to establish an international identity when, throughout history, your country is constantly being invaded and absorbed into whichever conquering power is marching through the region. The Ottomans, the Romans, the Persians, and the Soviets have all claimed it at some point. Yet somehow through it all they still remain proudly Georgian. Upon my arrival it turns out that Georgia is completely unlike whatever few preconceptions I had beforehand. The most important of which is this: Georgia is NOT…I repeat…NOT Russia! As a self-proclaimed map nerd I already knew that it has been a sovereign nation since the USSR dissolved in 1991. But as you look at how close it is to Russia one starts to think that they must be pretty similar people. Then as you continue to look at how many other cultures surround Georgia – Turkey to the southwest, Azerbaijan to the southeast, Armenia to the South – you start to see that this country is influenced by many different types of people, religion, and cultures. 19.11.2014. (Hvino News) Kakhetian Traditional Winemaking (KTW) is planning to open its new plant in Keda, Adjara region, on November 22. According to KTW's director Zurab Chkhaidze, the new winery will process about 600-700 tons of grapes. The construction began last April, and costed 1 million GEL (about 559.000 USD). During the ceremony of project launch Zurab Chkhaidze and Chairman of Ajara government Archil Khabadze declared that the enterprise will start to work by the end of the year. 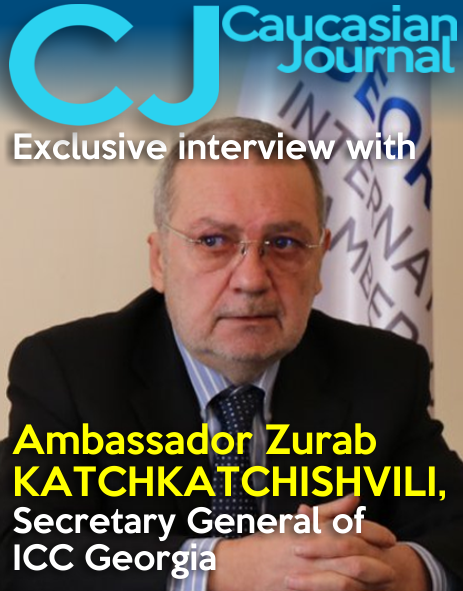 Zurab Chkhaidze noted that a tourist complex would be located in the area of the factory, where visitors will be able to learn about the history of Georgian wine and taste it. Winery will have its museum and premium wine cellars. They will open next year. 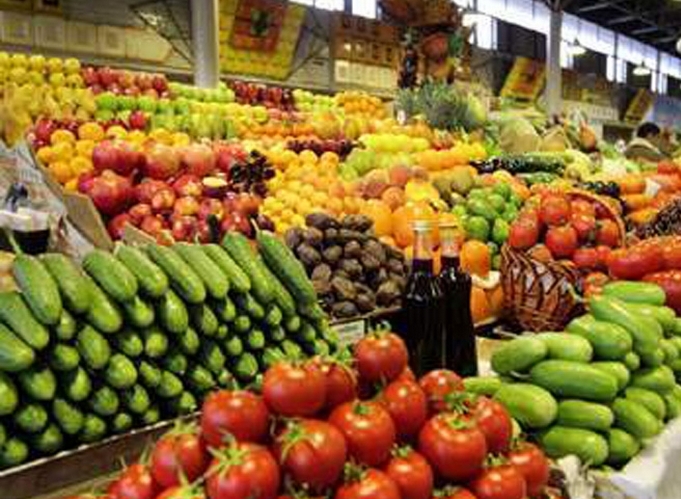 The investor also plans construction of fruit processing plants in Keda. 18.11.2014. During my last trip to Georgia, the country was in the middle of harvest and Iago Bitarishvili (Iago's wine) had a big problem. He needed help cleaning qvevri. This is one of the most important tasks when working with those big vessels. 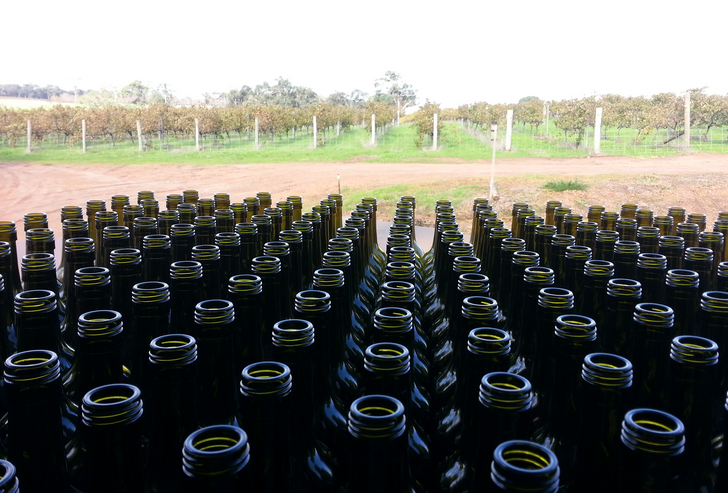 Without a proper and throrough cleaning the resulting wines would surely be a mouse bomb. 17.10.2014 (Hvino News). According to data released by Georgian government’s international monitoring center, 2013 was the best grape harvest in decades in Georgia. Georgia produced 12.6 percent more wine in 2013 than in 2012. 71.2 percent of the 183,381 tons of wine produced in 2013 came from households, and 28.8 percent from companies. In 2012, 74.3 percent was from household and 25.7 from companies. Total 170 entities produced wine in 2013 (Hvino's database has 97 wine producers, see here). In terms of volume, the top producers were Telavi Wine Cellar (Marani), Tbilvino, Georgian Wine and Spirits (GWS). Winery Khareba was the largest employer. 16.11.2014. When someone talks about “old world wines,” they usually mean ones from the three wine-producing powerhouses of Europe: France, Italy and Spain. But whereas French wines can trace their roots back 2600 years, 2800 tops, Georgia’s wine-making history goes much, much further. Recent DNA studies of today’s cultivated grape varieties point to Transcaucasia (that area between the Black and Caspian seas that now covers Armenia, Georgia and eastern Turkey) as the birthplace of viticulture and Vitis vinifera grapes, which account for the majority of wines produced around the world today. Estimates place the start of viticulture around 6000 BC, possibly even earlier. Shards of wine-stained pottery have been found at sites in Georgia (dated to 6000 BC) and northern Iran (dated to 5000 BC). There is an ancient Persian fable that credits a lady of the court with the discovery of wine. Falling out of favour with her King, a Persian Princess attempts suicide by drinking a jar of spoiled grapes. Instead of dying, her mood is elevated. Apparently, the King likes her new attitude so much that he admits her back into his good graces. Whether this fable is true or whether Neolithic-era farmers themselves discovered the effects of spoiled grapes, wine is more likely the result of a fortuitous accident than human invention. Wine competition was held in the framework of the exhibition. KTW's products were awarded with five medals. Gold medal: Saperavi Muscat 2012. It is an excellent match with the local cuisine - the Beijing Duck. Silver medal: Georgian brandy Old Kakheti 17 Year Old, Premium Chacha (Classical) and Saperavi 2012. Muscat Premium class was awarded with Bronze medal. On November 8th Georgian wine tasting was completed by the famous sommelier Debra Meiburg. KTW's Kindzmarauli was presented at the tasting. At the same time, in the lobby of the exhibition hall (called Ice Bar) the chacha presentation was hosted, and variety of cocktails were prepared on the base of chacha. What is the Georgian Sommelier Association and what is its purpose? The Georgian Sommelier Association was established in 2003 and is a member of the international association. Our main function is strengthening and development of the culture of wine in Georgia and the popularization of Georgian wine abroad. Journalists in the field of winemaking, importers, distributors, government agencies, etc are involved in these activities. Especially, I would like to note assistance rendered by the National Wine Agency. How are you going to implement your program aimed at popularization of Georgian wine and increase of its export potential? Overseas, demand for sommelier is quite high, especially in restaurants, what can you say about Georgia? In Georgia, the sommelier profession is insufficiently appreciated yet, so we are trying to popularize it. The International Sommelier Association consists of representatives of 59 countries. They mainly operate in the premium segment, and much depends on them in terms of the promotion of wine in the market. Georgian wine needs sommeliers as well and this area is gradually starting to develop. Everything needs time. 08.11.2014. Georgian companies producing spirits ask the state to pay more attention to them. According to Zaza Tabagari, a consultant for strategic planning of Gomi, the entry into the foreign market requires very large amounts, for this reason the brand is not able to carry out large-scale activities. Currently, the company exports its products only to Turkey and Latvia, where Gomi vodka holds only 2% of the overall market. Tabagari brings an example of the Georgian wine companies promoted on the Russian market by the state. "Do you think it’s the companies achievement that their products are popular in the Russian market? If Russians drink Georgian wine, do you think Englishmen will not drink? They will also drink with pleasure, but they are not aware of it, "- Tabagari notes. 07.11.2014 (Hvino News) Georgia won 19 awards in the 2014's Cathay Pacific Hong Kong International Wine & Spirit Competition (HKIWSC), including two gold awards. Run in partnership with the London-based International Wine & Spirit Competition, which has been running for 40 years and is the world’s premier platform for recognising quality in the industry, the Cathay Pacific Hong Kong International Wine & Spirit Competition is created specifically for the Asian market by those who know and are intimately involved in the region. Judging is conducted by Asia’s most esteemed wine judges from China, Singapore, Japan, Korea, Taiwan and India – including the competition’s Director and Master of Wine, Hong Kong-based Debra Meiburg MW. 08.11.2014. The sweet smell of Georgian wine is wafting through the air today in Telavi, the heart of Georgia’s wine-making area Kakheti, as the city celebrates the traditional Georgian tipple. For the first time the city is hosting its first wine festival, named Telavino 2014. The one-day event coincided with the celebration of the day of the city. 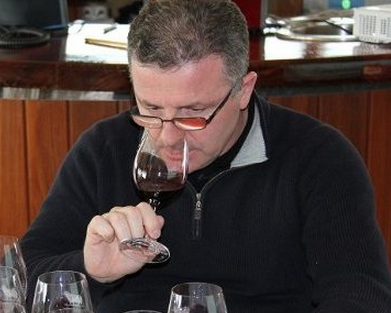 Organisers said the wine festival aimed to promote Georgian wine, wine culture and vine and at Telavino 2014, guests will have the chance to taste 500 different types of wine produced by small and large wine companies. 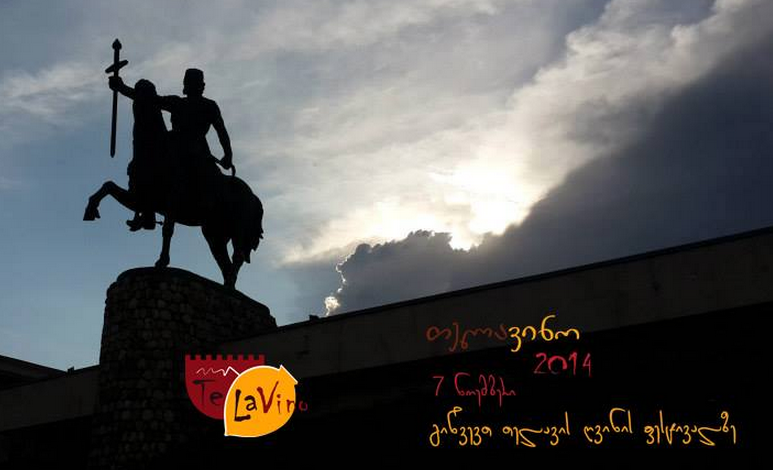 Telavino 2014 will also host an exhibition and open markets that display national crafts. Selections of naturally-produced cheese and honey will also be available to taste and purchase. Festival guests will have the chance to buy many varieties of Georgian wine with a 20 percent discount or taste the various wine offerings from a specially created tasting glass. Kakheti is a historical area of eastern Georgia, located in the valleys of the Iori and Alazani rivers. winery/company’s name: MARANI 1915 Sp. z o.o. winery/company’s name: ISC "Chateau Mukhrani"
producer’s name: ISC "Chateau Mukhrani"
winery/company’s name: "Wine Company SHUMI" Ltd.